Resurrected back in 2017, Sony’s robotic dog Aibo made a big splash at CES 2018, but there wasn’t much fanfare for the pup at Sony’s CES booth this year. 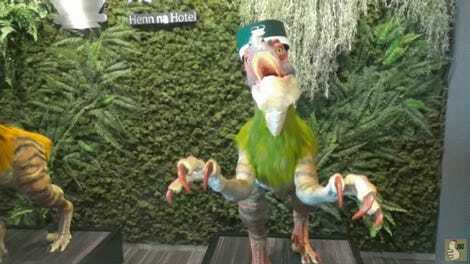 A few weeks later, however, Sony has announced a new version of the robotic companion featuring a beagle-inspired tri-color paint job, and some new tricks that expand the pricey toy’s capabilities. As adorable robots go, Aibo (and especially the new Aibo Chocolate Edition) don’t disappoint, mimicking the stilted movements of a tiny puppy that hasn’t quite mastered walking yet, and doling out plenty of artificial affection to owners they’re actually able to recognize through onboard cameras. To Sony’s credit, today’s Aibo update is not just a colorways facelift. In Japan, which has always been the most popular market for the robot pup, Engadget Japan reports that Sony is also teaming up with a security company called Secom in June to offer a ¥1,480 (or about $14) a month Aibo patrol security plan that promises to turn the robotic dog into a genuine guard dog—almost. 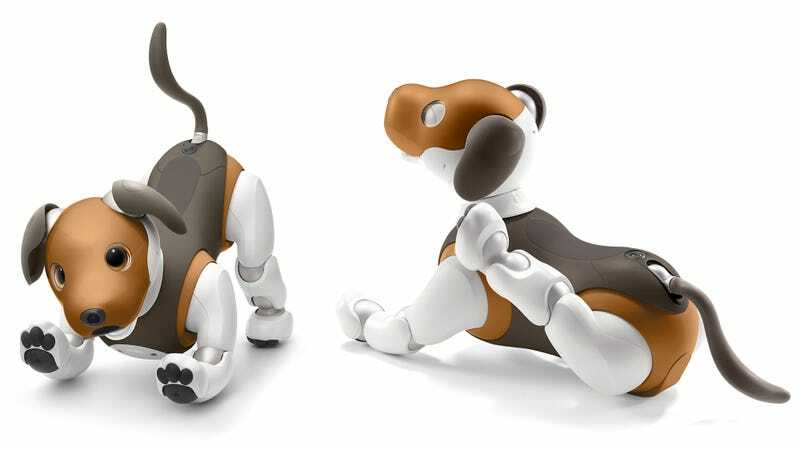 If Sony doesn’t deliver, however, there’s still hope that Aibo might one day be more than just a novelty. In addition to the facelift and security upgrades, Sony also announced that it will be making the robot’s API available to third-party developers this summer, which could lead to new uses and applications for Aibo that might help you justify dropping thousands of dollars on a new pet that isn’t actually that great for cuddling.